Sing The Name - Translations and Information about Siddha Yoga Chants. 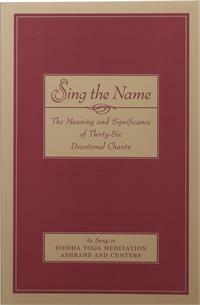 Knowing the meaning of a chant enhances the experience of chanting. These translations of Siddha Yoga chants (namasankirtanas) are accompanied by information about the ragas or melodic patterns that create the mood of each chant.